Are Polls Possible on THT? I've only been here for a couple of months, but sometimes I think I am way out of my league financially. I would love to see a poll of salaries/ occupations. And if polls aren't possible, how about a thread? Re: Are Polls Possible on THT? Spike, it is not really relevant unless you know the cost of living. For example, 75k in Washington DC doesn't get you anywhere. However, 75k in Evansville Indiana puts you in the country club type of living. 100K a year anywhere in Kalifornuh is practically poverty is it not? Yes the taxes are getting crazy. We have to stop spending all that money on foreign aid and start sending to our schools to offset the bills. Gas hit $3:15 today, last week it was $2:85. A little while back I was making over six figures a year (between both jobs) but still many weeks I didn't have two nickels to rub together....I/ we lived off of the Misses's salary. It was the Misses that paid for basically everything which I/ we enjoy these days. Would I like bigger toys then what I currently have...no not really, I'm happy with the things I have. My only hope now is that I will not shame myself nor my daughters come their wedding days. Life has been hard, but I am happy. I will say this with certainty, it's not how much money you earn or have, it's how you spend it that matters. Lol Fla Need I say more? Also are we talking combined Income? And as for gas 2.69 to 3.05 in a week! THT uses to generate all kinds of poles until they cleaned up the sand bar. Spike, one of the nice things about THT is the diversity (I hate that word). I'm only speculating here, but I suspect there are THT folks that make a lot more money than you and I will ever make. We've got guys with Ferrari's, aircraft and swanky houses on Carribean Islands. We also have guys with aluminum duck boats, ten-year-old pickup trucks and house trailers. 75K here in the Twin Cities is pretty good money. Further north, it's downright wealthy. You just joined THT recently, I see. Don't worry about it, and welcome. Ditto If you worry less about what you don't have. You are able to enjoy what you do have! As long as what you do have is a Contender or Regulator you will fit in fine. Welcome to THT! Why worry about how much anybody else makes on a boater forum? I'm certainly not a wealthy person by most standards even though I've had some nice toys in my life and had a heck of a nice home on the lake until my health went south and it had to go. Life goes on, even in a subdivision. I can honestly say I have just as many great memories of fun on the water when I was boating in my 14' Crosby Sled while living in an old beat up mobile home on the lake living from paycheck to paycheck. Now boating with my son is as good as it gets. I'm sure he'll turn out to be a boat junkie just like his Daddy. Small boats, big boats...they all count. People that drive big boats today started in small boats yesterday. People in small boats that move up to big boats will always remember the good old days in small boats. If all you can afford is a small boat today.......be happy.....it's still a boat and think of all the problems you are avoiding. Myself and wife"s social security checks and profits from Apple stocks. Keeps us just out of reach of the poor house. Retired from California to Tennessee to beat the high cost of living (and other reasons). 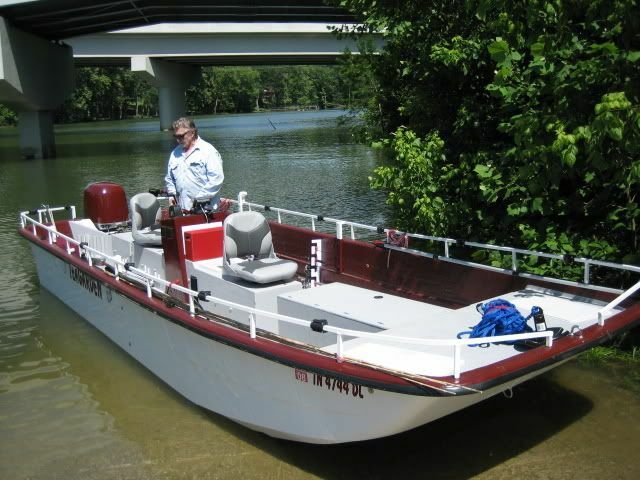 Started out many years ago with a big boat and have down sized since then to smaller boats. Each boat, on the way down, has been more fun than the prior boat. Interesting thread. By South Florida standards, I do pretty well. However, I had a boat when I was fresh out of law school. I hated law school and I especially hated studying for the bar exam. My motivation was that if I passed that damned test, I promised myself a boat. I passed. I got a job making $24K as a prosecutor (that was crap money, even in 1995). I had to live with my parents and scrimp pennies, but guess what? I bought a used 21' Pursuit and enjoyed the heck out of it every weekend and many weekdays for five years. Bought it for $15K and sold it for $10K five years later. Like the others, I still miss that boat. I only sold it because I stumbled on my current boat, which was what I considered a steal at $35K for a one year old 23' BW with twin engines. Then came kids (school) and gas prices. I make plenty more money now, but I think about every penny, and I honestly think before I push the throttle down. I never used to. I also have changed my fishing from running offshore to troll every weekend to simply going a mile or two offshore and bottom fishing wrecks and reefs. You do what you gotta do to enjoy life. Life is short. I do the best that I can by my wife and kids. Make sure they're taken care of, put away a little for retirement, and keep my boat as my "me" thing. So, I guess the moral of this ridiculously long post is that you get what you can afford, operate within your means and enjoy yourself. Don't worry so much about the Ferrari dudes. Power to them. I hope everyone I know and on this forum gets filthy rich, but we're not all going to get there. So, in the meantime, get rich on what life gives you. Out of your league financially? I'll only admit to making less than you. I have friends who make less than me and I have friends who are worth millions. BFD! We all have to stay within our means. You enjoy yourself with what you have and that's all that matters.